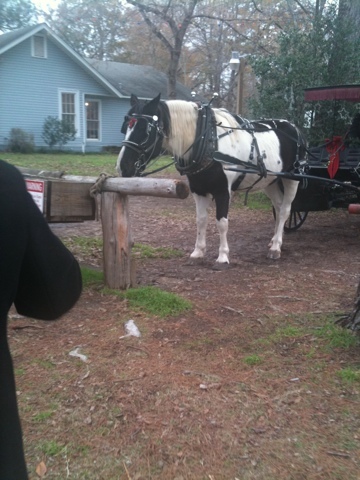 This Friday I went to Jefferson, Texas to go antiquing! The Whole town of Jefferson just has that Grandview vibe (Ghost Whisperer refrence lol) I found two awesome finds for really cheap! A vintage Christmas Deer for only $3.00 and a Village in a bottle for $7.00 a total of only $10.00! I feel thrifty! For lunch time we went to this little Dine burger place. 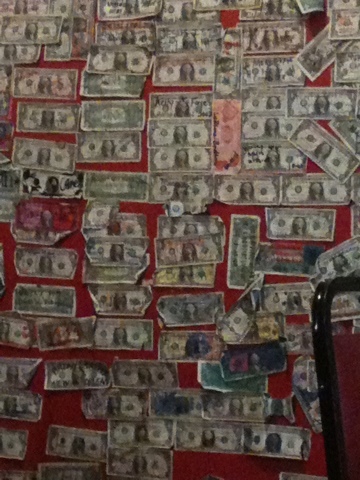 Dollar bills covered every wall, no joke. In the park Christmas trees were decorated every where. It felt like Christmas haha! It was so much fun. Can't wait to back!